Marie enjoys growing flowers and vegetables in her small backyard. 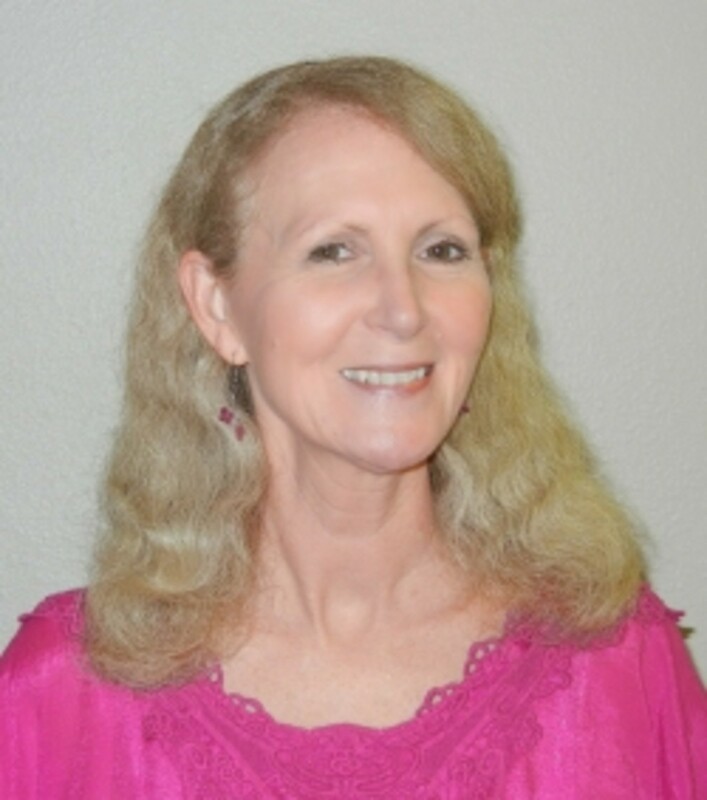 She has many favorite rose bushes which provide color all summer long. 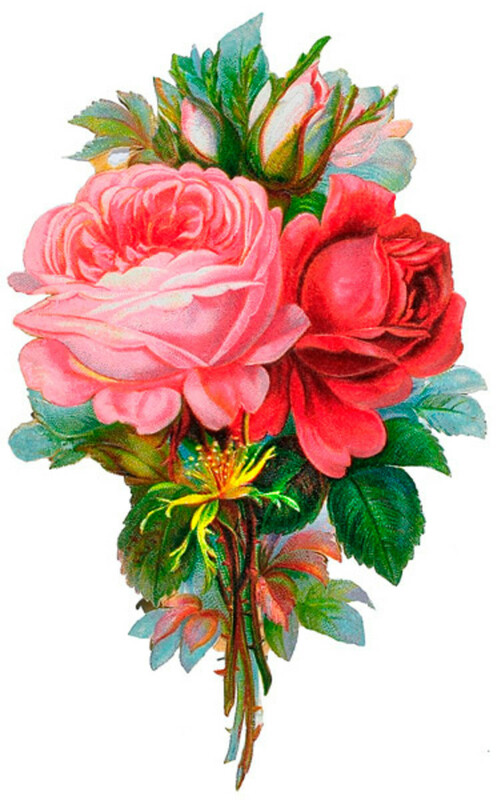 Lots of people wonder what do the different colors of roses mean and symbolize. The meaning of each flower color can really determine and influence what is appropriate to gift for a particular occasion such as Valentine's day. Learning the language of flowers is not new and stretches back through history. Flowers, and these ones especially, are a wonderful way to express how you feel when words are not really enough or adequate for what you feel. 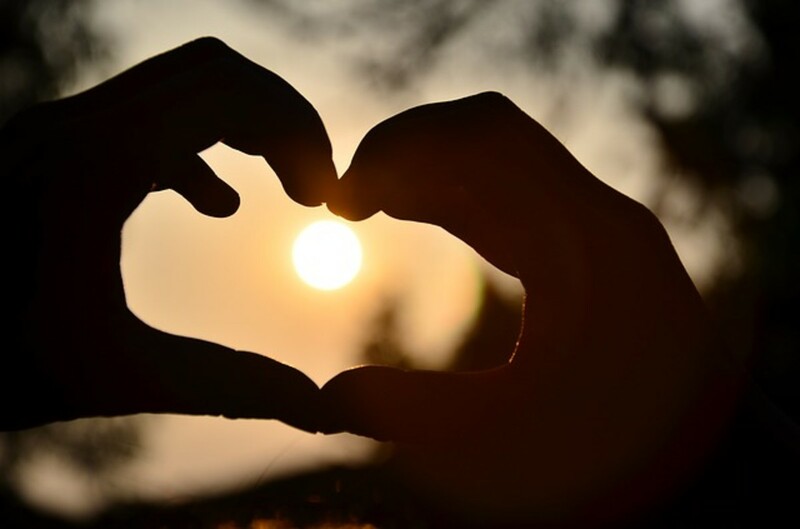 Perhaps you are in love with someone but you are unsure of what their feelings back may be. Instead of a potential embarrassment, you can present them with a red rose instead. Of course, rose flowers are not all about love and they actually have a language of their own that applies to many different situations in life. What do PINK Roses Mean? There are so very many shades of the pink rose. Petal shades include vivid cerise pink, fuchsia, magenta (a purple hued pink) and then much paler pinks including blush, rose and salmon shades. What you really need to know is that there is a different meaning applied to the lighter color pink variations to the dark ones. In general though, pink is for giving thanks and joy and these flowers are most appropriate as a thank you bouquet. Dark pink roses are most often used to express your thankfulness, gratitude and appreciation. For example, if someone does something very nice or special for you then it would be right to send them a bouquet of roses in a dark pink shade. Light pink shades are better for passing on your sincere congratulations. Pale hues are also good for any type of celebration, occasion or a happy get together with a friend. If you are having guests to stay or come for dinner, they are ideal to use in a vase as room décor as a way to express your happiness at their arrival. Light pink roses are often used for new baby arrivals and especially for new baby girls. 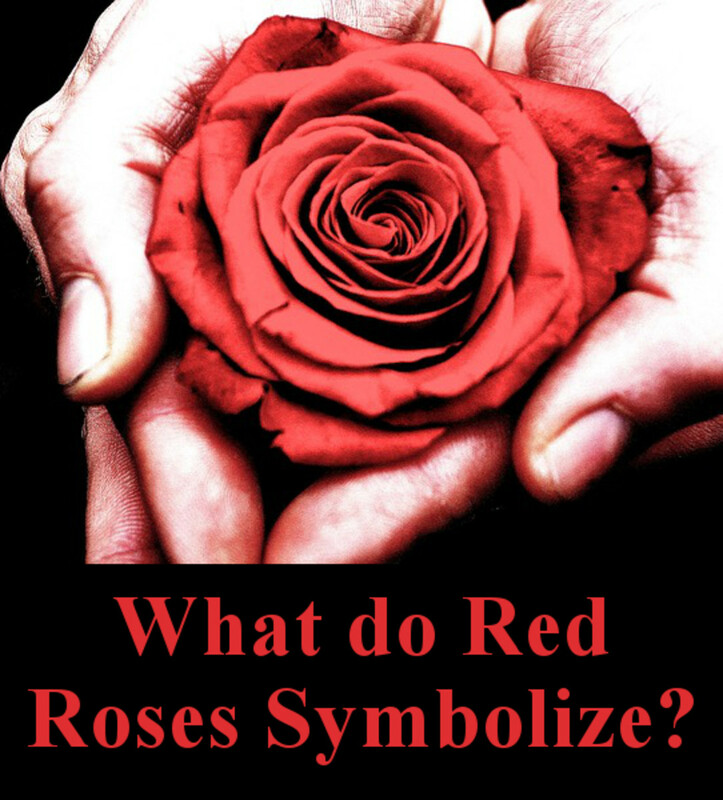 What do Red Roses Symbolize? This is a shade that you so often see in bouquets of flowers, red. It's the most common flower color which is gifted. Although it is common, it is often presented with little thought to what the shade symbolizes. People tend to buy and use red roses for almost any occasion. However, there are times when it really and truly might not be appropriate at all. It is really important to learn what the colors of roses signify before you give them out as a gift. The most common meaning for a red rose is one of love, passion and romance. So if you want to show a desire or longing to win, or keep, someone's heart, then red roses are just the thing. It is also used to encourage the recipient and show that you really care for them. Darker and deep hued varieties like maroon and burgundy really indicate and express the very deepest love, a love that has endured over much time. They also symbolize deep beauty too. Dark red is absolutely ideal for a longer term relationship or partnership of love that is long established such as a marriage. Just to confuse matters further, the number of these flowers that you give, or receive, is also very significant. Numbers of flowers have a meaning too. Present a single red rose if you felt that you experienced love at first sight or if it is your very first wedding anniversary. If you feel mean giving just one flower then present it in the middle of a whole bouquet full of other flower varieties or as a lone stem in a luxury gift box. 9 is a together forever number so it is a number of serious commitment and perfect for if you want to get engaged. 12 or a dozen red roses is a way of saying that you want the other person to 'be mine' and is ideal when you want or aspire to be in a relationship with someone. 36 is a number that might seem rather over the top and extravagant but this special 3 dozen flowers signifies that you're head over heels in love! 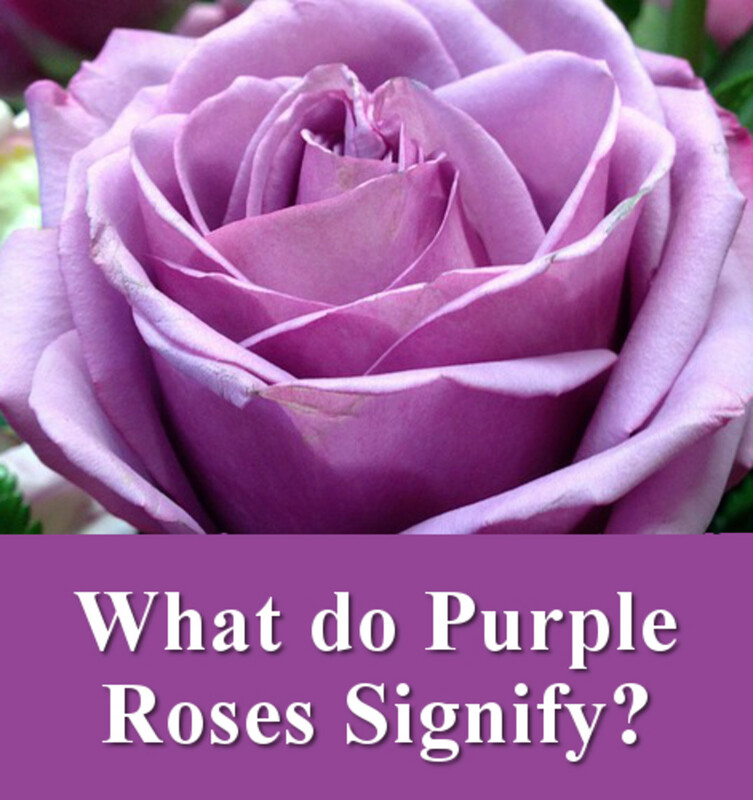 What do PURPLE Roses Signify? Purple is a nice shade to give or receive for a loving and romantic attachment. Being given these is a pretty good sign since purple or lavender shades often are taken to mean love at first sight. It's entirely romantic and sentimental too. As well as expressing love at first sight, to give or receive this color also has the meaning of wanting a relationship to blossom and grow. You want a relationship to move on and go further. You're looking for a much more meaningful love. Another similar meaning is one of enchantment and this goes along with the love at first sight meaning. You feel like you have been entranced and therefore these very much convey a very magical, special and romantic love. These are ideal for a new and very meaningful love. 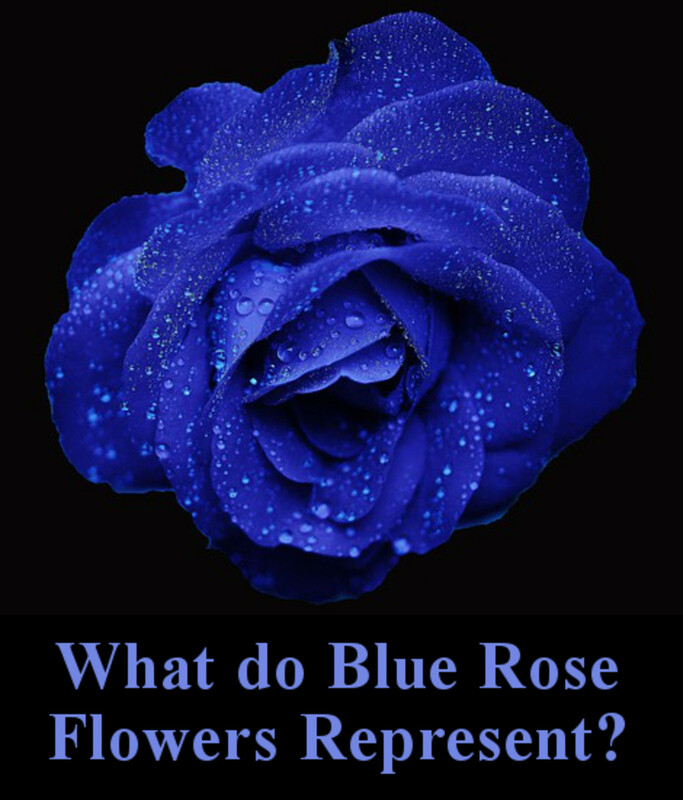 What do Blue Rose Flowers Represent? Have you ever heard of a blue rose or even been lucky enough to have seen one? This is not a natural shade for this flower at all. These flowers have to be genetically engineered to create this color or they are dyed blue instead. You might find them very hard to get hold of in order to give them to someone. And that leads us on the meaning because they actually are symbolic of rarity as well as mystery. They are the perfect offering to someone who you perceive as being virtually impossible to get, someone out of your league perhaps. It's a bit of a show-off color and makes a bit of a statement about yourself if you use these as décor in your home. It really does not have the most romantic or nicest of meanings. It's a flower for a very big ego and for someone looking to make an impact. What is the Meaning of GREEN Roses? 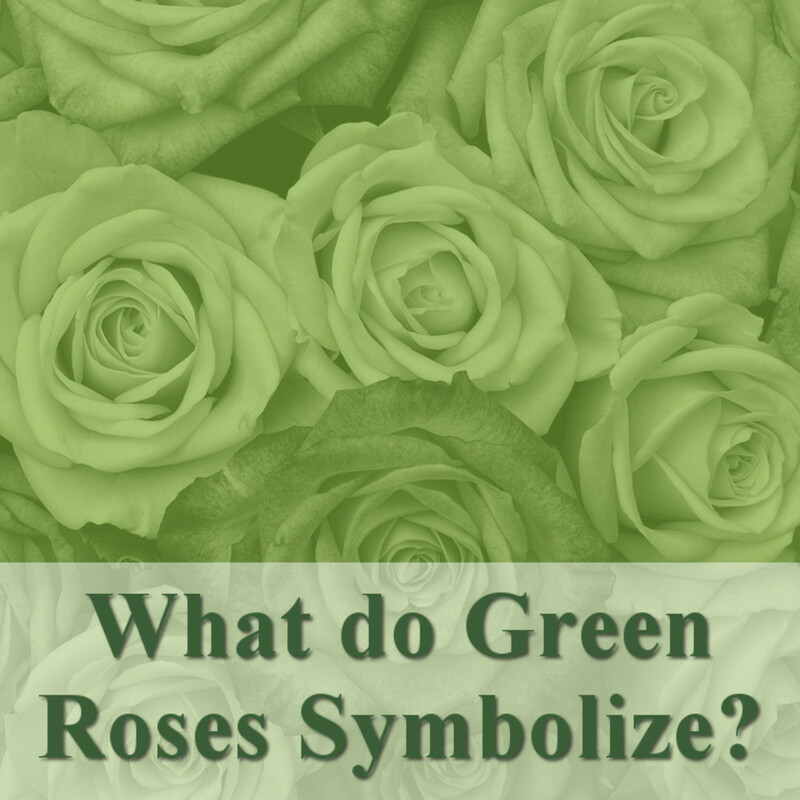 What do Green Roses Symbolize? This color is very unusual so I wonder if you have any idea of what it stands for. You'd think that this shade is artificial but they can appear naturally although they're pretty rare. Green is a color of growth and life so it symbolizes nature and also fertility. As well as that, this color represents tranquility and relaxation. It's a highly positive shade overall and significant of all natural and good things. Since green roses will be hard to come by whether natural or artificially dyed, they are best used for quite a special occasion where the rareness will be all the more appreciated. Since they represent newness and growth, they are perfect to gift for new jobs, new homes, new starts, marriage, emigrating abroad, start of retirement and a different phase of life even. Green is also a shade associated with good health so it's also ideal to give green roses to someone who has suffered with a bad illness to wish them well and good health in the future. 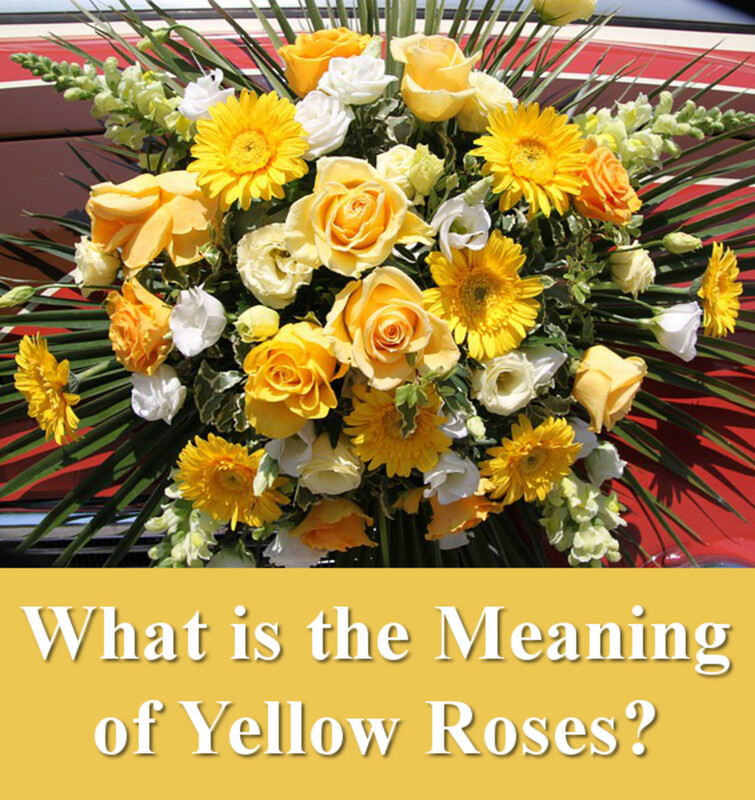 What do YELLOW Roses Symbolize? What is the Meaning of Yellow Roses? This is the color of friendship. It is a wonderful flower to symbolize a warmth between you and the recipient but a platonic warmth and nothing more than that. Yellow roses are ideal for someone you care about but do not love in a romantic sense. This color exudes happiness and all positive emotions and feelings. It can symbolize a joyous friendship, one in which you really delight. Be very careful, however, about presenting any yellow roses tinged with red tips on the petals because this means that friendship is escalating into something more such as love. This is why this particular and unique shading is referred to as a transition rose since one feeling is changing into another. Yellow petals with red tips are perfect if you have fallen in love with a friend otherwise you might be giving out the wrong signal to someone. 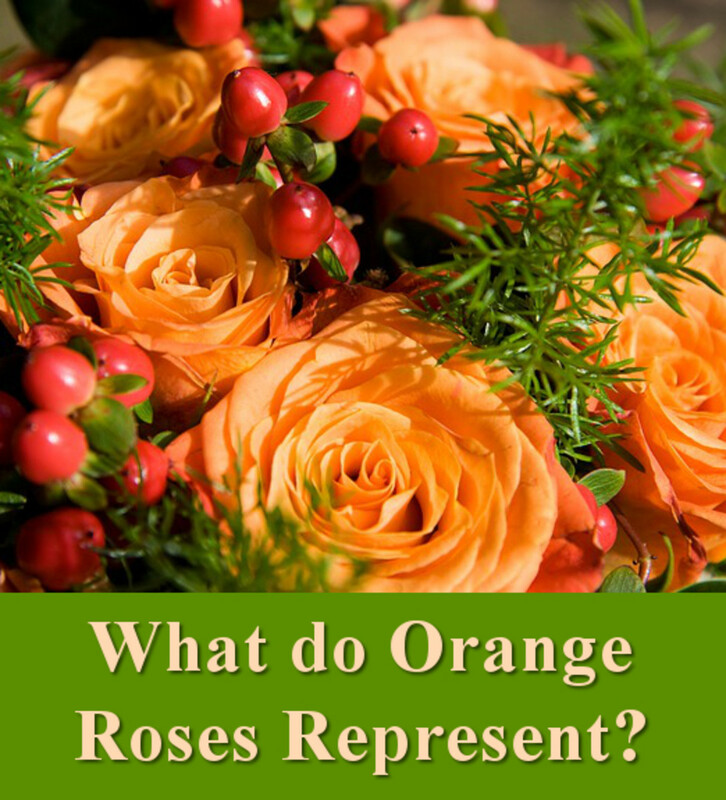 What do Orange Roses Represent? Orange roses are a favorite shade that I enjoy looking at. They are a beautiful and warm sunshine color. But what does this orange hue really mean because it is one that is less common than the typical red, whites, pinks and yellow flowers that you get. So if you don't already know what it stands for, that is a reason why. Orange roses can also be given to show fascination or curiosity. These could be given to a person you are really fascinated by. It could signal a bit of an obsession. It is a color that expresses quite fiery emotions such as passion, enthusiasm, lust and desire. Orange is a shade which has quite strong emotions attached which is why they are ideal to gift to someone you are head over heels in love with or someone you really desire very strongly. Take care when offering this choice of shade because of the definite meanings attached. What do WHITE Roses Mean? 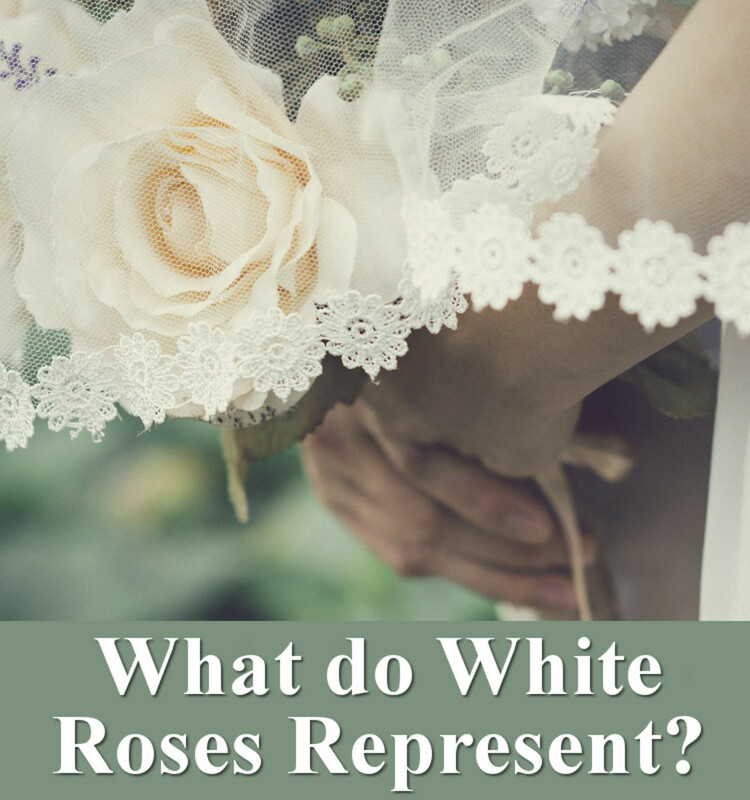 What do White Roses Represent? This is a color that symbolizes peace and tranquility. White rose flowers are often used for bridal bouquets and at weddings because as well as peace, they are symbolic of a happy love and a long lasting love too. White should be a number one choice for an appropriate wedding flower where a couple in love are declaring their pure and unadulterated feelings for one another. Of course this pure and virginal shade also conveys innocence and purity. Because of this, you can see them used in churches and not just for weddings. They're both angelic and spiritual and perfect for religious events and celebrations such as communions and christenings as well as wedding vows. White is normally associated with happy occasions but they can also be used to express sympathy too because of the peace meaning and the fact that you are wishing someone peace during a time of sorrow. 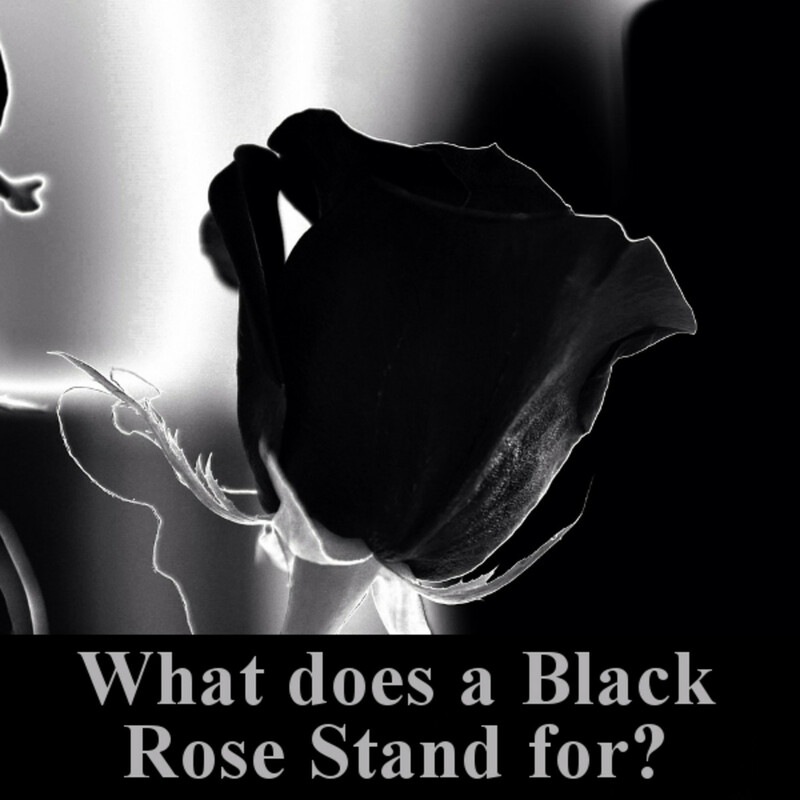 What does a Black Rose Stand for? Black roses are a type of rose that you have to be extremely careful in giving. They probably have the most potential to cause a misunderstanding if given to the wrong person. This color is symbolic of death and depression as well as with loss of all hope. It is associated with both sadness and melancholy. If you gift this color of rose to someone, you are expressing black thoughts such as wanting life to leave the recipient or from yourself because you are unhappy and have given up. It's the shade of sorrow and can also stand for someone who is leaving your life. It is a farewell flower, you might say. You wouldn't normally choose to gift a black rose to anyone. Perhaps they are best suited as a design statement in a modern home. As a bouquet, they are less desirable. Perfect for divorce celebrations and for all truly bleak occasions with no hope attached. They are a great choice for Halloween. 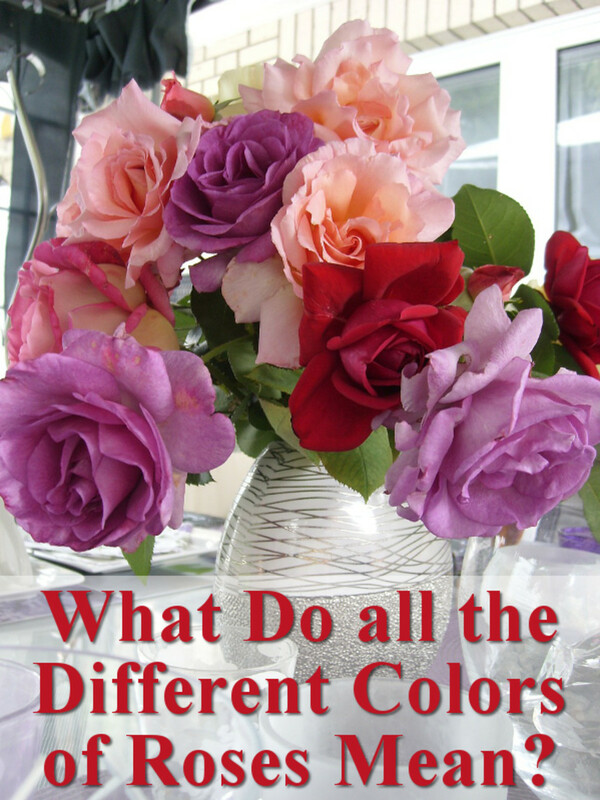 Test Your Knowledge of the Color of Roses! Ready for a Quiz? Coming Up Next! 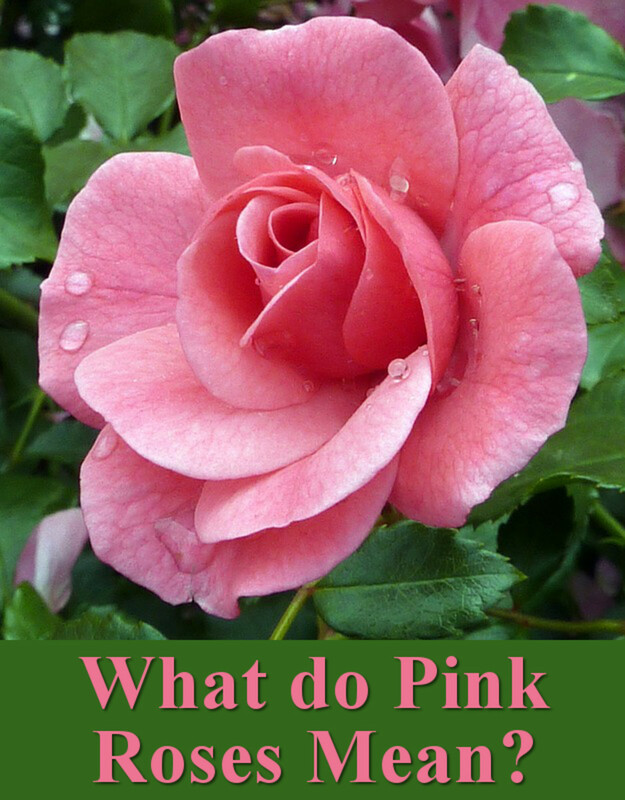 Now you can put what you've learned and discovered about rose flower colors to the test with a quick quiz! Your Quiz Challenge - Show What You Know! Black rose is sacrifice. Forever. Just ordered some Green roses for a garden trellis. I specifically wanted these because green is for growth and money. Beautiful read and Bouquets of ideas....Thank You !! Thanks for the information.I didn't know most of the meanings.I think different flowers have their own meanings also. All this was well known inVictorian times. I didn't know some of these roses even existed. I really liked reading and learning the symbolism each color represented. A lot of us just think white or red when it comes to roses, but it's so much more than that. The rose is a beautiful yet powerful flower and giving someone a rose should be more than just an afterthought. This is a terrific read. Great job! This was an interesting hub. I once had gotten interested in flower colors and flower meanings, long time ago. I didn't know that roses come in blue or the rare green. Thanks for sharing this handy and beautiful rose guide. Very useful, a couple of new ones I didn't know! - thankyou for the information. I did! Great lens... I didn't do tou well on the quiz though... will have to try again. Yes, I did. I did not know the meaning of green, blue and black roses. Lovely page. Thank you for taking the time to compile this information and share your knowledge. @laurenrich: Thank you very much and I'm glad you reaped some knowledge from it. @foxemd: Thank you for your visit. @anonymous: Sounds like a great idea and I'm glad you found this useful for your research. @Shutterbug671: Thank you, they are indeed beautiful. I've always wondered what the different colors symbolize! Great lens, very informative. Roses are my absolute favorite flower! Thank you! I'm actually using as research for a book I'm writing. It's about a princess that meets a boy at seven who tries to give her a yellow rose, but she ends up getting hurt by a thorn and scraping the boy's eye with another thorn. They see one another nine years later and the boy wants a job as the gardener. He originally wants it for the gardening part, but eventually falls for the princess, who he has an annoying habit of calling, "stupid girl." Eventually he'll end up giving her the different colored roses as their relationship progresses. What a great list! Thanks for sharing! What an amazing lens! I have to bookmark this page, so next time I buy roses, I'll know which ones to buy :) Thanks for the info! I learned a lot about the colors of different roses. This is a beautiful lens. Thanks for sharing. @NewUsedCarsSacramento: Thank you so much for your visit, I'm glad it reminded you. @squidoopets: Thank you SquidooPets :) It is a lovely thing and you are right that for some people it could be easier to show how they feel with the right color roses. What a neat idea to give the various meanings of different colors of roses. Not everyone is able to express their feelings in words, what a lovely way to expand upon expressing feelings with flowers. Wow, thanks for the interesting post. I now remember that when I was younger I read about the meaning of different color roses, but eventually I forgot. Thanks for the reminder. I didn't knew the signify of roses, and this lens is really great to become aknowledged! Thanks so much, 2 thumbs up for you! @Celticep: Blue roses are a rarity seeing as they do not occur naturally - I think you will find that they can symbolize attaining something rare and special. I know they are given to symbolize being that one-of-a-kind person, so I would think that they had a beautiful symbolism for your marriage. @anonymous: Great idea to take some roses to your presentations! It's not for me, I love writing but public speaking - no way! Good luck and thanks for the visit. @captainj88: Thank you, LeahJ :) I appreciate your visit. Very interesting to learn the significance of colors--and numbers--of roses. Wow, what a treasure trove of information. Have you ever given a public presentation? As a public speaking coach and trainer, I will now bring roses to my presentations. I'll start with yellow roses of course! Thanks for your well written and educational article. I'd write more but I'm off to the nursery to purchase some rose bushes for the spring. This is an excellent lens. Thank you for creating it! I really had no idea! I love those yellow roses! Gorgeous. This is really awesome. Great work! What great info here. I love red, green and yellow roses the most. I didn't know they even made blue roses. Cool! I also did a lens on floral meanings! However it might not be as informative as yours! Great lens!! Lots of information I will have to study, to remember. I appreciate the information very much. Absolutely. 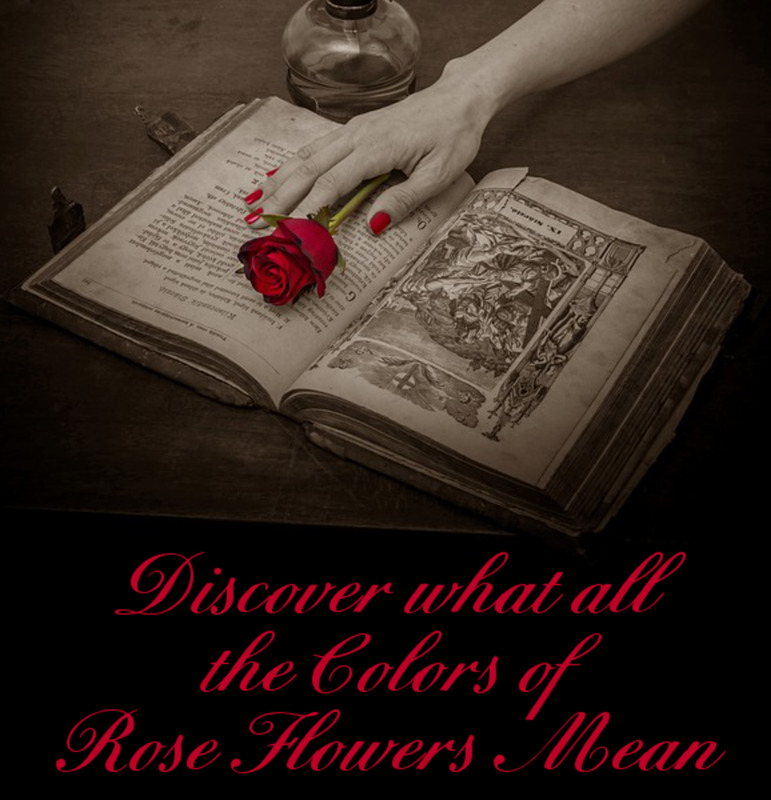 I had no idea there was so much meaning behind the color of roses. I never see green roses before. They look amazing. Great len! @wecomparebooks: Thank you. There are so many beautiful rose flower images. @anonymous: Me too :) I hope I get some for Valentine's Day! @vivonmattress: Thanks for stopping by, I appreciate the visit. This is really something! Its a must learn for men! If they don't want to be embarrassed. Thanks for the information. I always wondered what blue roses signified. I had no idea that there was a black rose. Thanks for the education. I knew the basic colors but now I know some of the other colors. Thanks! Nice lens. I knew there was different meanings but didn't know what color meant what. Great lens, first time I have seen a green rose, but I like it. @TravelingRae: Yeah i was surprised when i first saw them too. I had no idea that there is such a thing as green roses!